The search for a permanent superintendent to lead the Lake Oswego School District is officially underway. School Board members, with help from the consulting firm Ray and Associates, outlined a timeline for the search in late August and finalized details about the search process, which will include an online survey and stakeholder meetings designed to solicit community input. The search follows the departure of former Superintendent Heather Beck, who left the district on June 30 for a new job in Singapore, and the appointment of Michael Musick as interim superintendent. Musick's contract runs through the 2018-19 school year, although he will be considered alongside all applicants for the permanent position. Ray and Associates is the same firm the district used to hire Beck in 2014, and the School Board has indicated it intends to essentially repeat the same process. At a board meeting on Aug. 21, board members worked with Ray and Associates representative Jim Hager to lay out a timeframe: Semifinalists (around six or seven candidates) will be interviewed on Dec. 3-4, and the top three or four finalists will be called back for a second round of interviews on Dec. 10-11. Before then, Ray and Associates will work to identify the traits Lake Oswego wants in its new superintendent. The first step in the process? Create a survey in which parents, students, teachers and community members can express the qualities they deem most important. The survey, which will be available on the district's website ( www.losdschools.org ) from Sept. 21-Oct. 10, will ask respondents to choose the 10 characteristics they feel are most important from a list of nearly three dozen options that range from listening and decision-making skills to a commitment to a "student-first" philosophy, an ability to work with lawmakers on key legislative topics and a desire to engage deeply with a broad range of community groups and organizations. Should the next superintendent have classroom experience? Work experience in a similar district? Have a private-sector background in addition to an education career? The survey will offer those options, too. In addition, Ray and Associates will conduct a series of meetings in Lake Oswego from Oct. 4-6 with various stakeholder groups representing parents, employees and the community. A public forum will also be scheduled for anyone who would like to provide feedback. At the Aug. 21 meeting, School Board Chair Bob Barman told Hager how important community input will be during the search. "You guys did a fabulous job last time. We had great input from the entire community," Barman said. "We know this community, and we knew that everyone wanted to have a voice in the superintendent (search). Those same people want to have a voice in this superintendent (search)." Board member Jon Wallin echoed that sentiment. When it comes to community feedback, he said, "In our district, I think we all know it's really important that we get that." Hager assured the board that the process will go smoothly and that a lot of community input will be solicited, just as it was during the search for Beck. "We can emulate what you did the last time. The only thing that's different is the dates and the timeline," he said. "Everything else is the same." Hager also reassured the board that Ray and Associates understands and shares the district's commitment to equity, diversity and inclusion. "We will get you some very, very good candidates," he said, "and they will be very diverse, from gender to ethnicity." "Just speaking on my background, I have a great record of working with the Urban League, the NAACP and the National Alliance of Black School Educators," Hager said. "You will get a good, diverse group of people coming in." The Aug. 21 meeting went late into the night, so the board reconvened on Aug. 27 to finish a conversation about the salary range for a new superintendent. Wallin told the board that in the time since the last meeting, he and board member Liz Hartman had "looked at a range of district attributes, such as enrollment, graduation rates, per-student expenditures, median district income and median district home price — just as many factors as we could think of that would drive a salary." With that input in hand, the board recommended that the superintendent's salary be between $205,000 and $245,000 — a range that would put Lake Oswego near the top of the pay scale in Oregon, according to a survey conducted in May by the Pamplin Media Group. Portland Public Schools (about 48,000 students) pays Guadalupe Guerrero $295,000, the survey found. 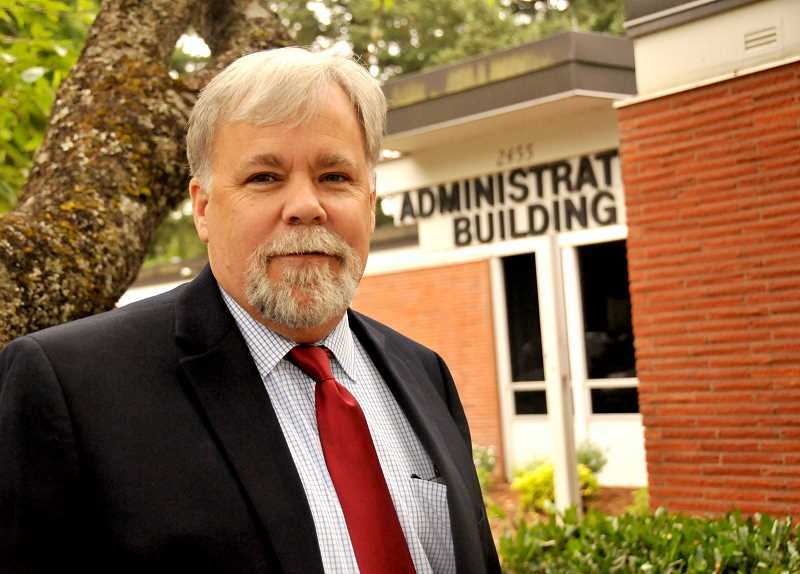 Beaverton, with about 42,000 students, pays Superintendent Don Grotting $272,950. In the 17,000-student North Clackamas School District, Superintendent Matt Utterback makes $197,500, while Sue Rieke-Smith earns $190,000 in Tigard-Tualatin (about 12,000 students). Kathy Ludwig, the superintendent of the West Linn-Wilsonville School District (which has around 9,800 students), made $164,167 last year. Enrollment in the Lake Oswego School District hovers around 7,000. "This will allow us to be very competitive nationwide," Wallin said of the LOSD's pay range, "while also being mindful of the realities of our district."